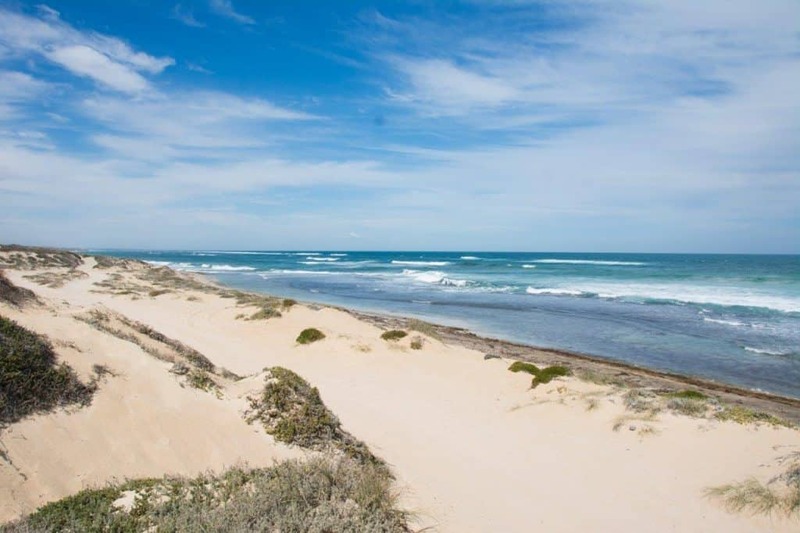 Geraldton is a very popular mid north west destination in Western Australia. 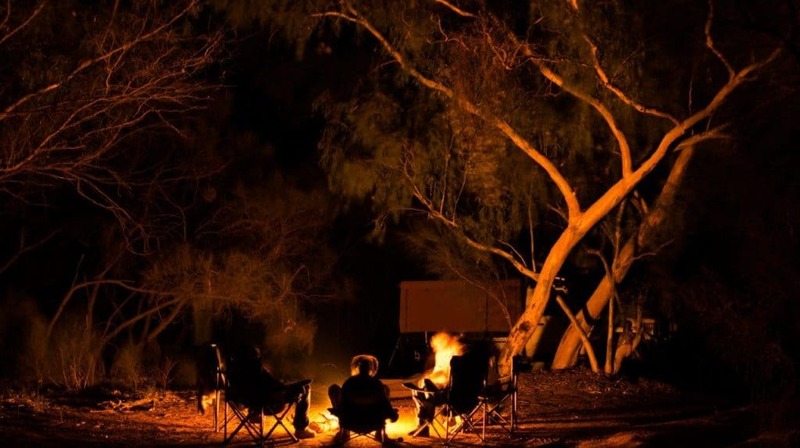 There are a stack of fantastic places to camp at ranging from low cost beach side camps to plenty of good Caravan parks to rest your head for the night. 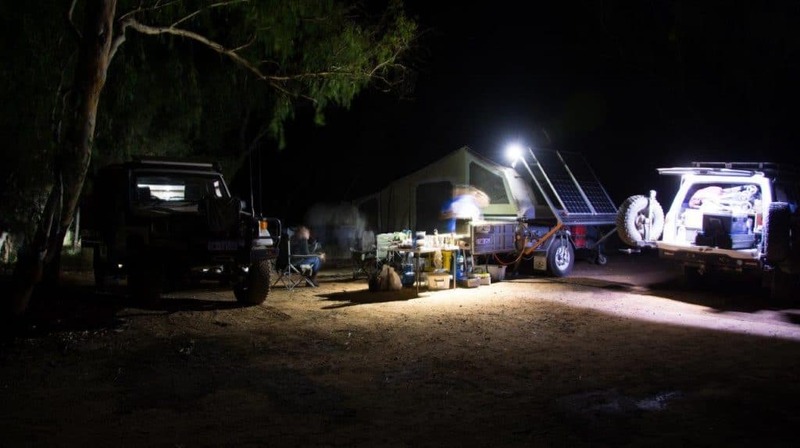 A lot of people pass through Geraldton every day, heading one way or another and simply stopping for fuel, a bite to eat and a place to stretch the legs. 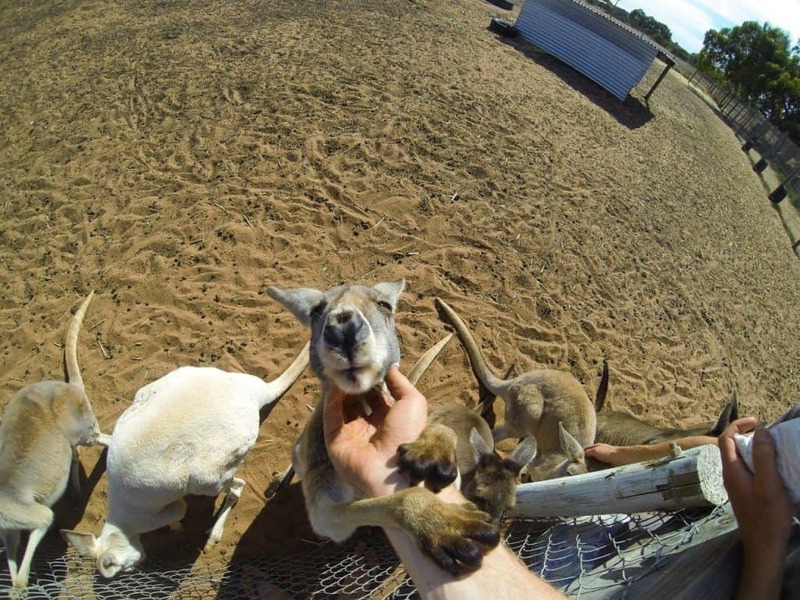 However, I’m going to share a place that might make you change your mind and make you spend a night near Geraldton. Riverside camping with a view like this! 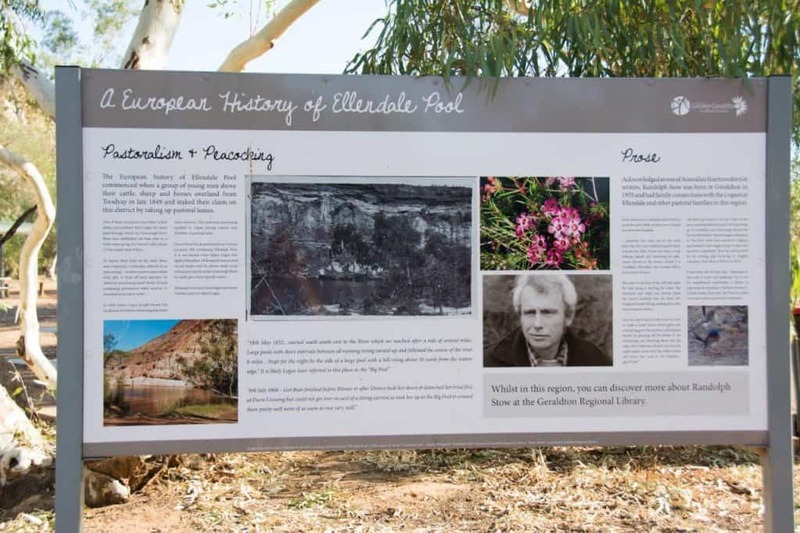 Ellendale Pool is 50km south east of Geraldton, and is a hidden oasis. Geraldton locals and those who’ve been travelling for a while now would have heard if it, but if you haven’t, its a beautiful place to spend a night or two. 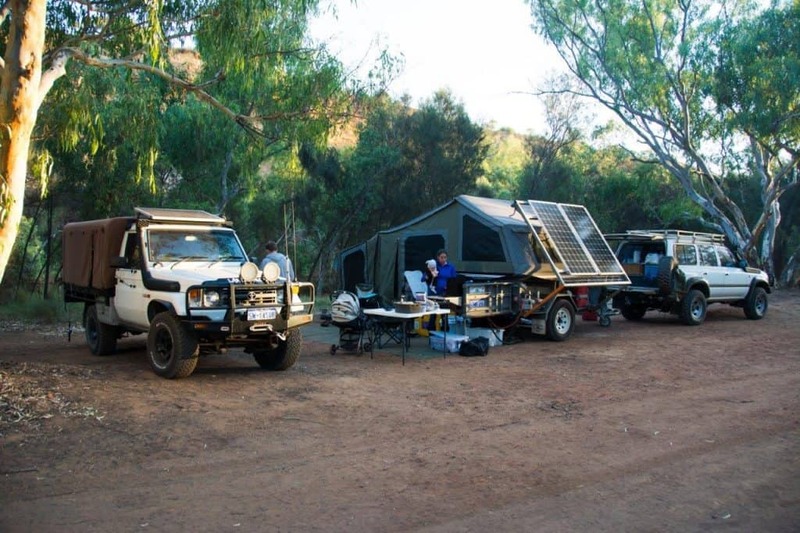 Ellendale is a shire run camp ground, and at a mere $5 per vehicle per night, its fantastic value. 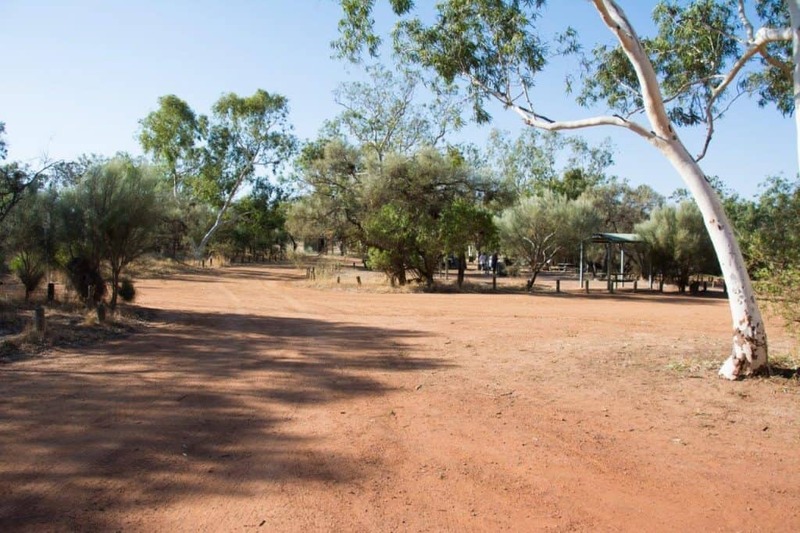 The ‘pool’ itself is part of the Greenough river, and camp grounds are spread along it for a couple of hundred metres. 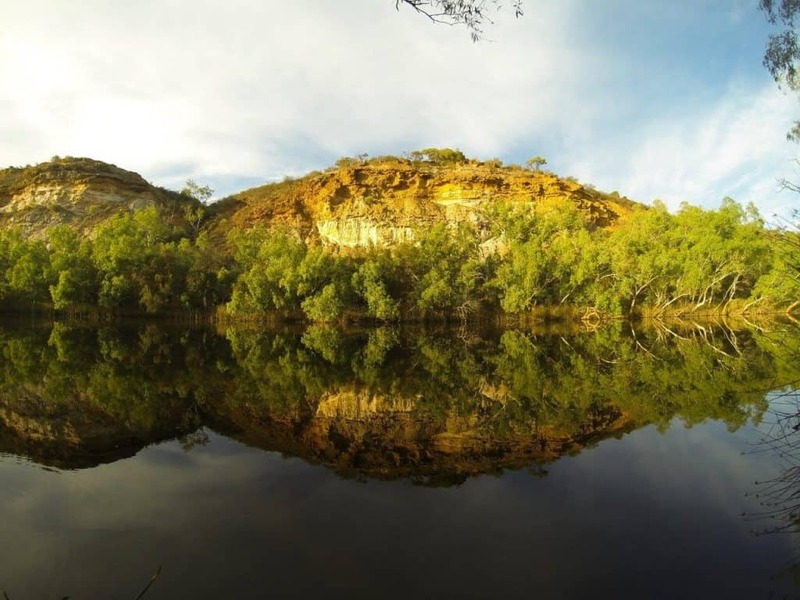 It’s a natural water hole with some incredible cliffs on one side that light up on sunset and sunrise. 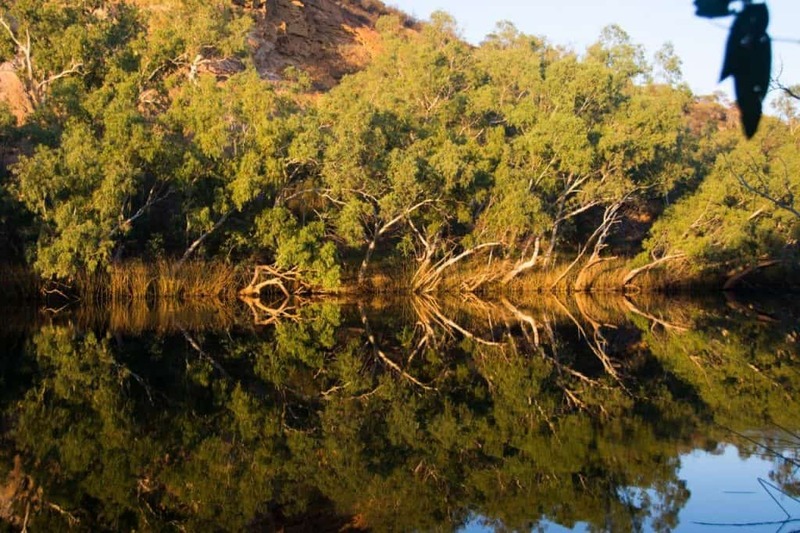 Camping near the river reminded me of some of the Kimberley and Karijini Gorges that are truly spectacular; mirror calm water and amazing red colours are truly spectacular. The bird life is impressive, with the Corellas (white parrots) making a lot of noise morning and night. To get to Ellendale Pool from Geraldton, you can either head down Edward Road, or Brand Highway, and make your turn onto the Nangetty Walkaway road. It’s 2WD friendly, although there are some spots that are not really suitable for 2WD vehicles, so check carefully before driving off the main track! Once you turn off to Ellendale Pool, the road turns to gravel and is in great condition. The gravel road is only a couple of hundred metres long, and then you get to the river. What camping does it suit? I’m going to say there are unofficially 3 area’s that you can camp. The first is set back off the river around 100 metres, and up in level too. This is flat, wide and has a couple of big tree’s for shade, but is pretty barren overall. This area is designated for RV’s, caravans and big rigs. You wouldn’t have an issue with getting a decent sized bus here either. The second area is closer to the water, but still set back a little in the main area around the toilets and playground. This also has plenty of shade, lots of room and you can spread apart from each other. The last area is that right next to the river. There is a track that runs along most of it, with lots of shade and plenty of spots to set up camp. Some of this would not be suitable for low clearance 2WD vehicles, and the sites vary from massive to just big enough for a vehicle and tent. All in all, there’s plenty of room, lots of shade and some fantastic spots to set up for the night. If you take this track along the river, it gets very tight at the end, and you will need a 4WD to get through as its a soft, sandy section with a couple of muddy ruts. 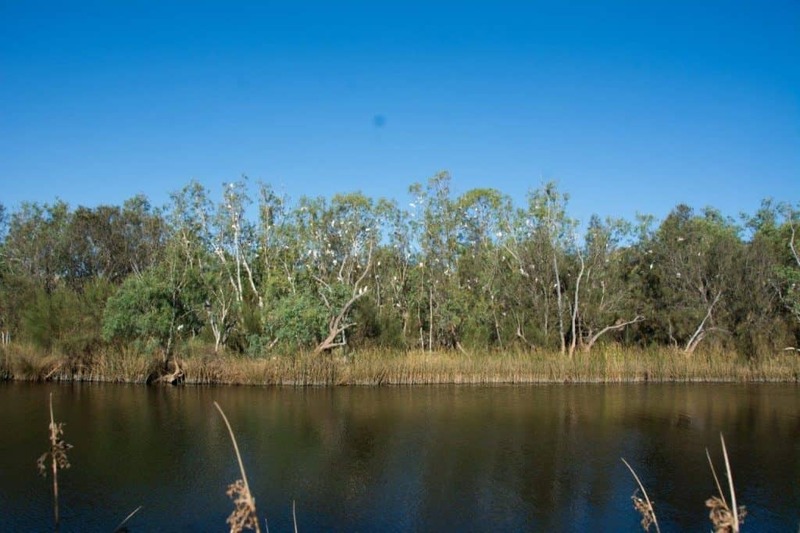 If you are keen to use Ellendale Pool as a base, there is quite a bit to explore in the region. 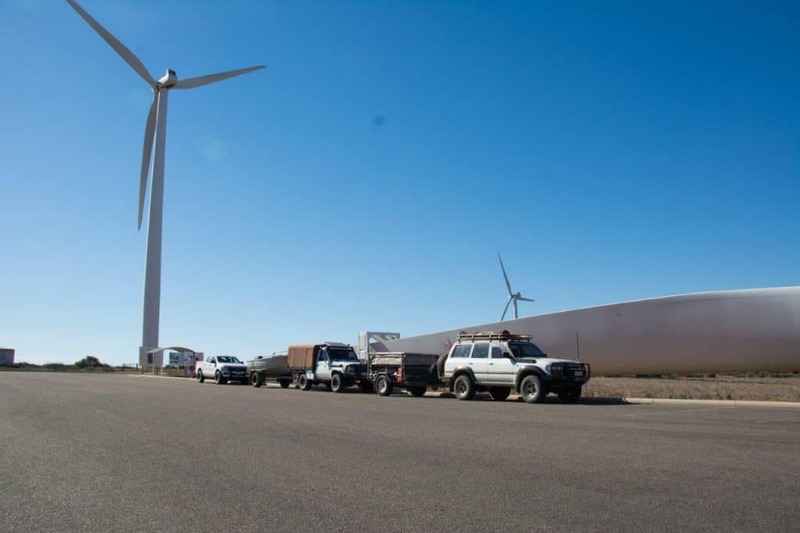 On your way in, you’ll pass the Geraldton wind farm, which is worth a stop where the big turbine blade is. Have a read of the signs; you’ll be impressed at the operation. From there, Geraldton has a heap of great places to explore. 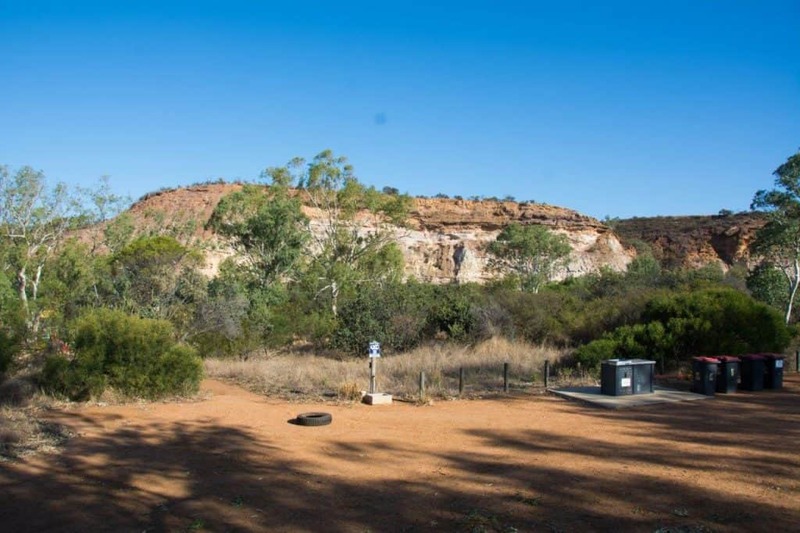 Flat Rocks further south is worth a look as is the Greenough Wildlife Park. We had a ball walking around the park for a couple of hours, and rate it great value for money. 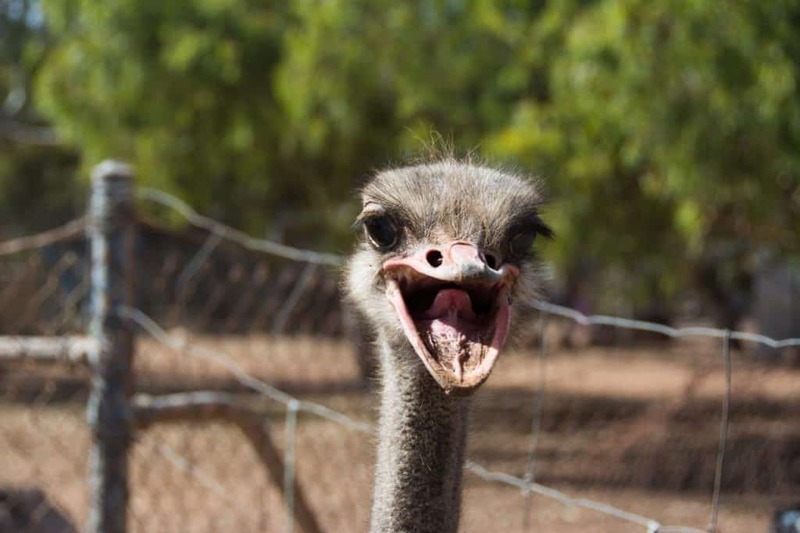 Horrocks, Dongara and Port Denison are not too far away either, and worth a stop. What facilities are at Ellendale? For $5 per vehicle per night, I’d expect a drop toilet at best. 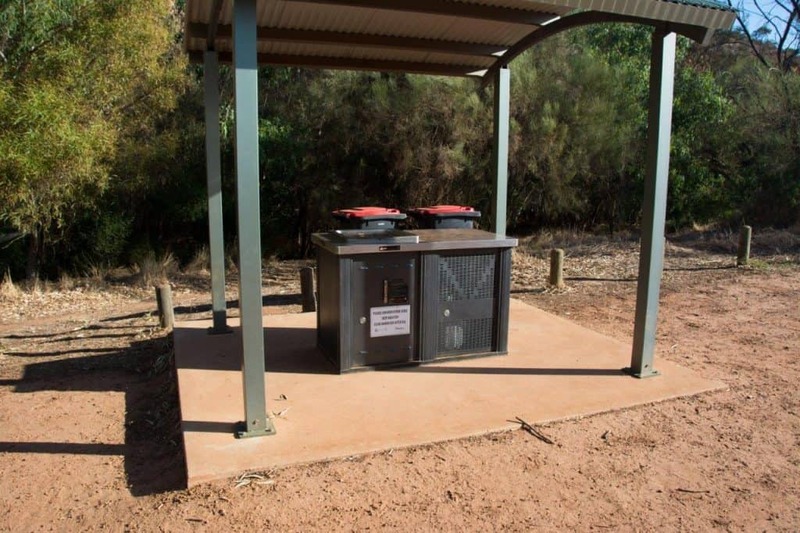 That’s not the case though – there are 3 flushing toilets, a dump point, rubbish bins, non drinkable water and a couple of gas BBQ’s/picnic tables. There’s also a playground for the kids. It’s got everything you need. 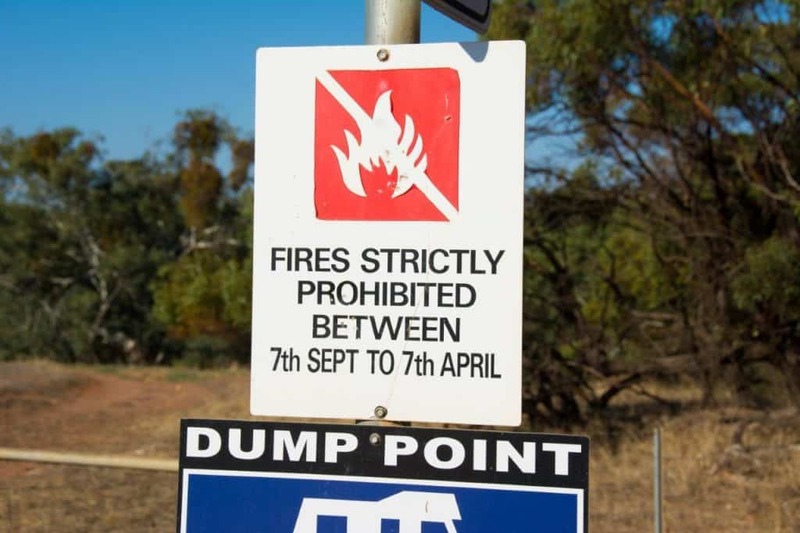 Fires are permitted, but only between 7th April and 7th of September. It would pay to clarify this though, as there were 3 signs when we visited, and one conflicted the other two. Now for something you really need to consider before going to Ellendale Pool; the swimming. 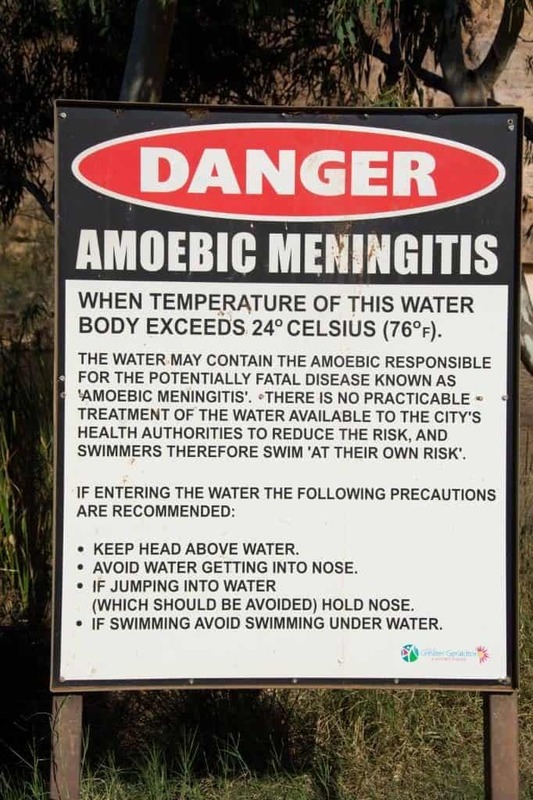 There are a couple of big signs up which suggest the water can have a bacteria growing in it that could cause a potentially fatal disease called Amoebic Meningitis. 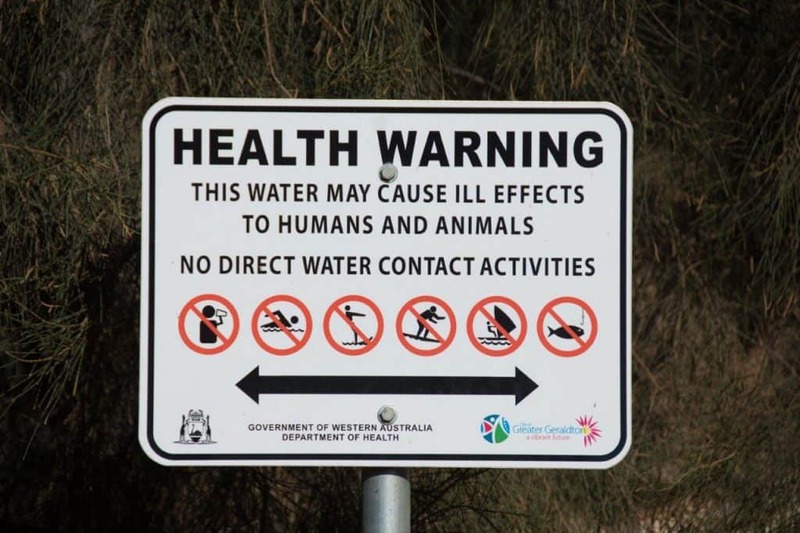 The sign is probably a bit intentionally vague, but says the water must be over 24 degrees for this to happen, and essentially passes the risk onto anyone who swims. It does not say ‘Swimming prohibited’, and a lot of people do swim there. It simply suggests if you do swim, do it at your own risk, and keep your head above the water, and avoid water going up your nose. A lot of people were swimming there when we visited, and we did but kept our heads out of the water. 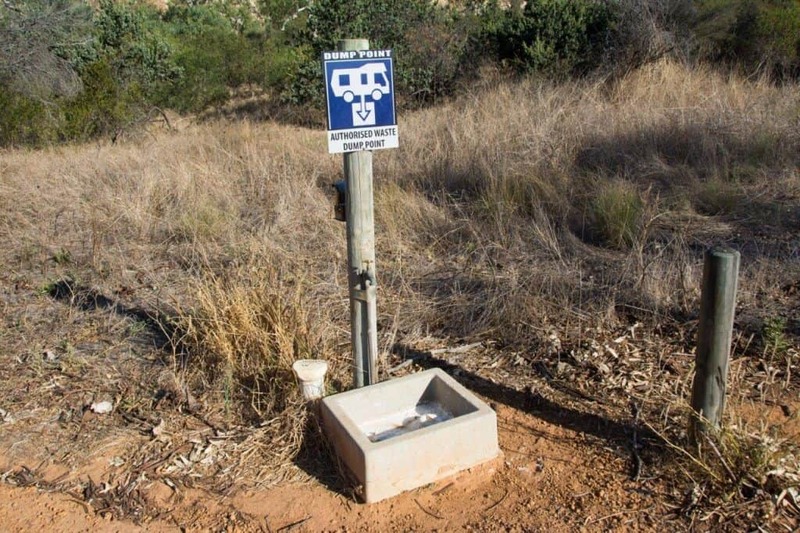 A photo of the sign is below; you decide for yourselves what you think about it and whether you have a dip or not. After leaving Lynton Station, we moved to Ellendale for 3 nights. 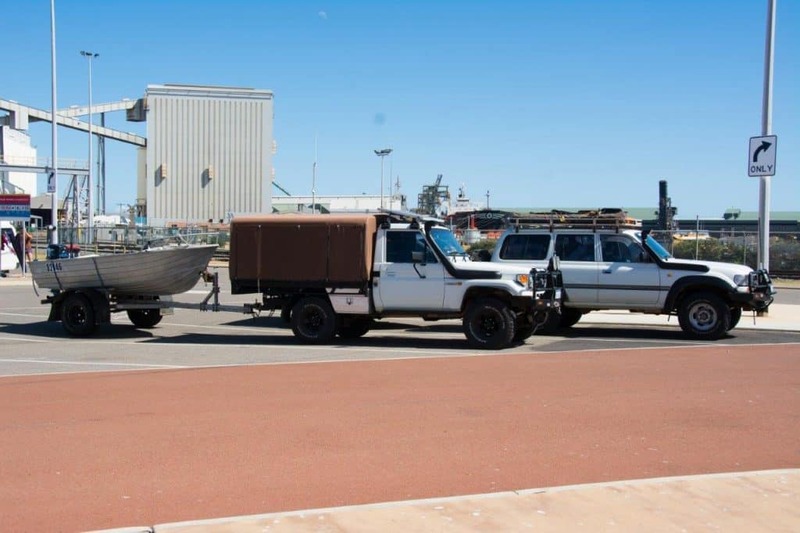 We used it as a base, and cruised into Geraldton most days. We got a heap of crays from Flat rocks, enjoyed the Greenough wildlife park, and went out in the boat from Geraldton (and got nothing!). The wind was up a fair bit, which resulted in us retreating to the river at Cape Burney (and also getting nothing!). Overall, Ellendale Pool is a brilliant place to camp; its unique in so many ways, and truly beautiful. If you haven’t been there, spend a night and watch the sun go down over the rocks. You’ll love it. We are camping here in April 2019 with freinds and kids . 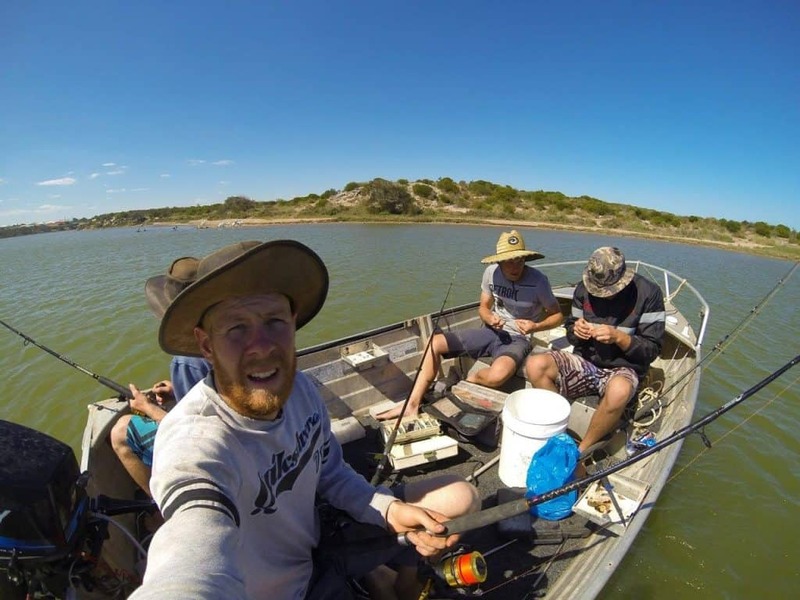 Do have any tips on how to catch crays in Geraldton ? Areas and techniques? Just find any ledges; even ones you think they’d never be under and look around. 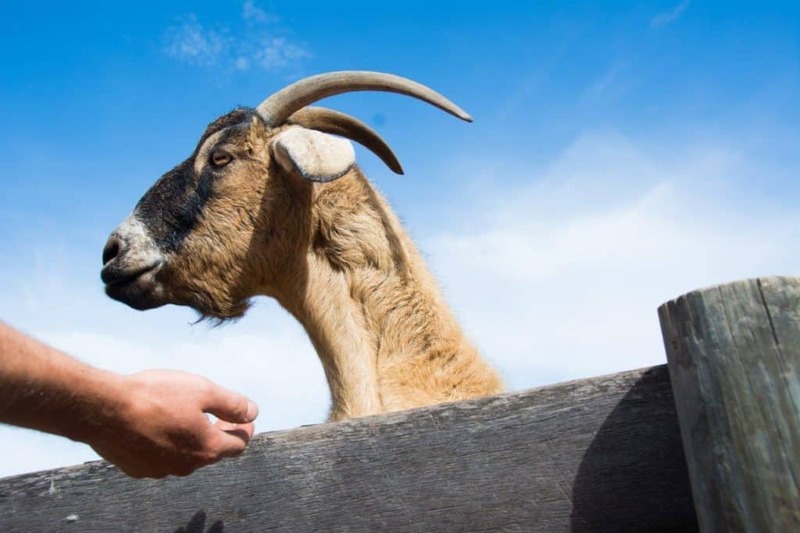 We normally dive for them and grab them with gloves or a noose. 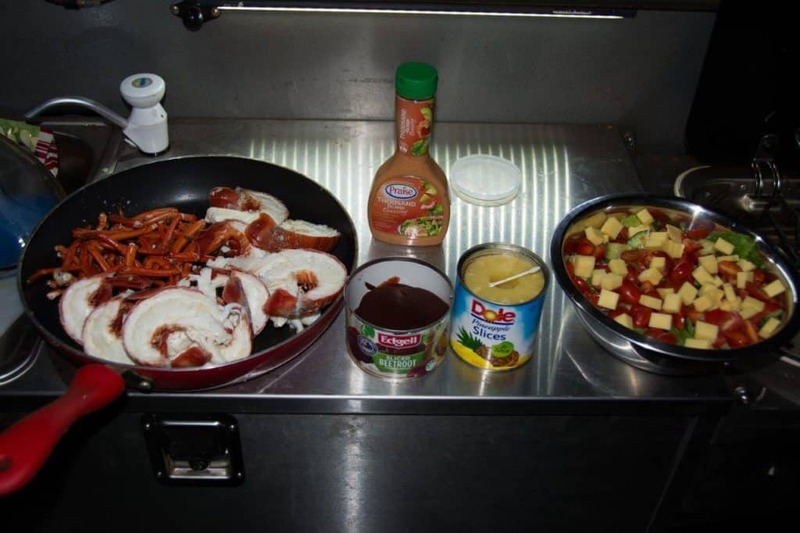 Other than that you can use pots, but not so easy to do without a lot of gear.